November 28, 2018 /1 Comment/in General News, Meet the IP Thought Leaders /by David L. Cohen, Esq. Over the course of my 20+ years practicing law, I have had the honor of working with many individuals who are involved at the cutting edge of all aspects of intellectual property. I consider myself very lucky that most of these folks, in addition to being luminaries in the industry, are good people and have welcomed me into their professional world with open arms. To celebrate these individuals, I am inaugurating a series of interviews. My next interviewee, Robert Colao, is the founder and President of radiusIP®, Inc. He is currently also the Chief Licensing Executive for SIPCO, LLC and IP Co, LLC, and is responsible for the overall licensing efforts and business aspects of the ESSENTIAL WIRELESS MESH™ portfolio/licensing program. I first met Bob at Nokia when he joined as director of Outbound Patent Licensing and became my office mate in the now defunct White Plains office. Over the years we became friends and have collaborated on a number of projects together, both while at Nokia and subsequently. Bob is a talented and smart guy and very much a straight shooter. He works hard and is dedicated to his clients. At Nokia we had a running joke that we were so busy that we only ever saw each other in passing while one was boarding and the other deplaning from a flight to Helsinki. Before coming to Nokia, from 2000 to 2008, Bob was with IBM’s Corporate Intellectual Property Licensing organization and held the position of Director of International Licensing. What follows is a slightly condensed and edited interview. What do you think are the two or three most important skills you bring to patent monetization and where and how did you acquire them? The most important skill in any negotiation or adversarial situation is to maintain a sense of empathy for the other side, and for their needs and issues. One must always try to understand and see the situation from the other party’s perspective and use this empathy to determine their potential strategies and next moves. The second is patience, since every situation may take time for the full picture or positions to be properly framed, understood and ultimately accepted. The third is persistence — no matter what obstacles or issues arise, it is important to press ahead and not give up in efforts to reach some new options or potential solutions. The bonus or additional skill is maintaining integrity; once trust is lost or honesty is questioned, it will make any deal much more difficult to finalize. What are two of the biggest challenges facing patent owners seeking to monetize their patents today? For the small company or individual inventor, the most critical issue is the fact that IPR process is heavily weighted against them, with the prohibitive costs and un-ending assault from anyone or any of the “IPR-Trolls” that are ready to file an IPR against legitimate patents for the sole purpose of inflicting pain and discouraging patent holders from asserting. Many small entities are resigned to not assert patents so as to avoid the cost (i.e. several hundred thousand dollars) to defend against a single IPR, not to mention the potential for un-ending quantity of IPRs that can be filed against the same patent. This is on top of the significant filing and prosecution fees and other costs that have been expended to obtain the patent in the first place. This and not the patent assertion/licensing is what will stifle innovation efforts, especially innovation coming from the small entity and individual inventor. The plaintiff in an IPR should bear and pay the costs of the patent holder if the IPR is rejected or not instituted — there must be equal pain for the filer of the IPR, especially since most are very large companies with unlimited funds and resources to utilize. What is the next big technology that will be the subject of patent monetization attempts and why? 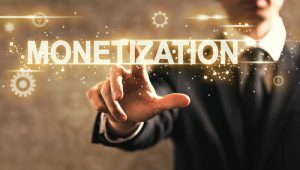 In the technology area, AI, VR and AR seem to be getting significant attention today and will likely be the next areas for monetization as products begin to take hold. Much like IoT was the technology area to date for similar monetization efforts. What excites you about patent monetization today? Two things: The rise and maturing of IP rights in China; and the hope that the pendulum has begun to shift in favor of the patent holder in the US. What advice would you give inventors? 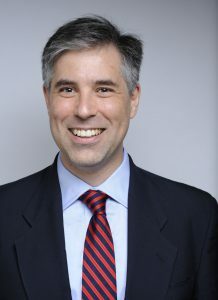 Look for an experienced and knowledgeable patent prosecution attorney with experience in developing claims for licensing and litigation, as well as product protection; know your patent and understand the claims with an eye towards licensing, asserting and litigating; establish patent filing strategy for larger set of inventions or portfolios; spend the effort to develop a solid, well written patent specification and list of prior art references; and reach out for help from someone that has experienced the horror stories so as to learn from their mistakes and successes in monetization and assertion. What are you seeing in the secondary market for patents? A slow but steady improvement in activity, focused on good quality assets with a solid and convincing set of evidence that the assets are applicable and relevant to the current market and near-term or strategic future offerings. What makes a convincing claims chart? What do you think will happen with China as it relates to IP in the next five years? There is and continues to be a growth in the protection and assertion of IP in China, and this trend will continue and potentially accelerate. Clearly is it property and I believe it was always meant to be property that could be sold, used, and defended in order to promote innovation and business growth. Connect with Bob Colao here. Will the IoT Patent Wars be like the Smartphone Wars?